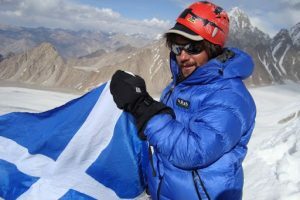 Chistopher Philipson and Joel Fiddes are the first climbers to conquer a 5000m+ peak in the Wakhan Corridor in Afghanistan. 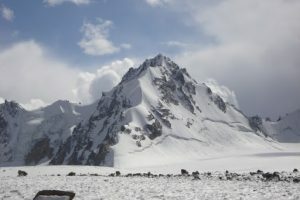 The climbers scaled the north-east ridge (facing you in photo below) after an aborted attempt the previous day. The peak has been named Koh-I-Beefy after Joel’s brother who has passed away. A set of beautiful pictures giving a real sense of the Wakhan and its people, shot in 2008 by Vassi Koutsaftis, are available at Arclight Pictures. 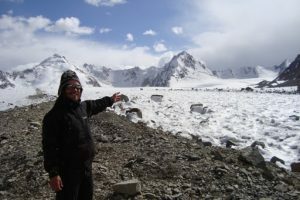 Please also take a look at Mountain Unity, an organisation that are promoting the Wakhan Corridor as a destination for serious mountaineering. The Wakhan is extremely poor and suffers from high infant and maternal mortality, and tourism is one of the only ways of developing this remote, rugged area.